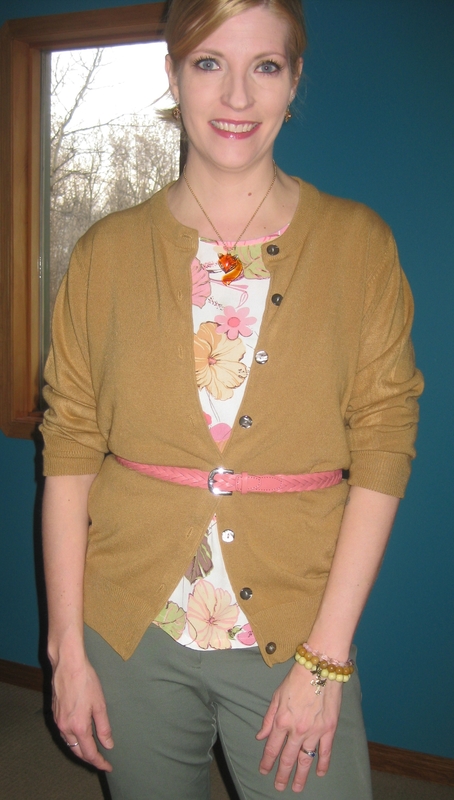 I don’t know about you, but I LOVED yesterday’s Monday Style Prompt: belted cardi! 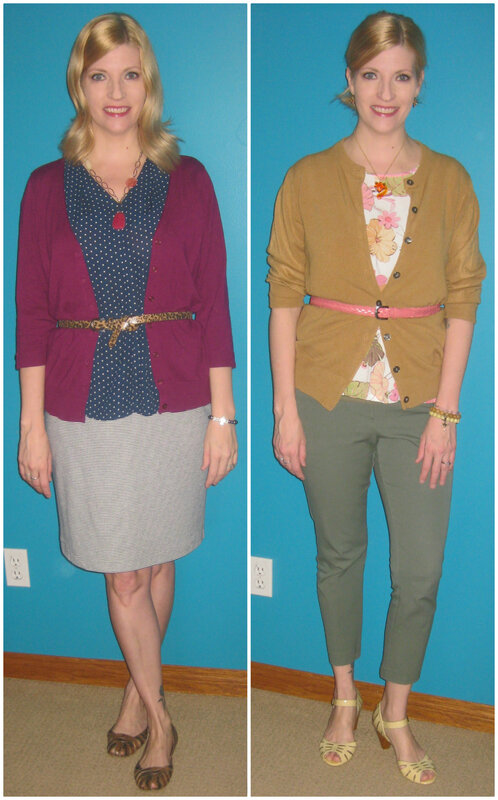 Two looks for two days because that’s how I roll with an idea I like. 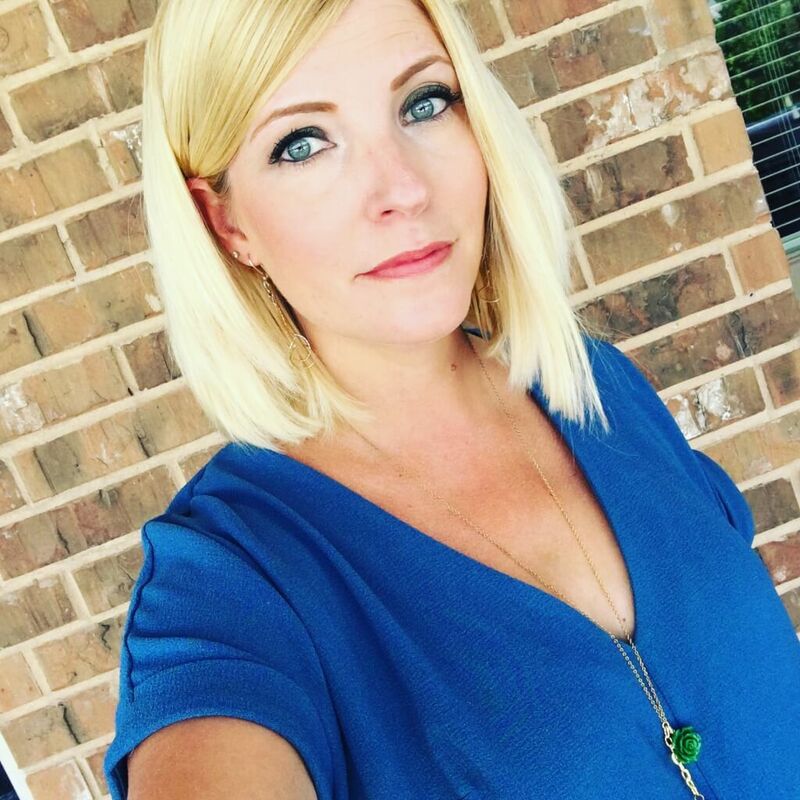 Some of my thrifty work peeps and Instagram friends knocked it out of the park and it got me thinking that this is one of those no-fail looks! 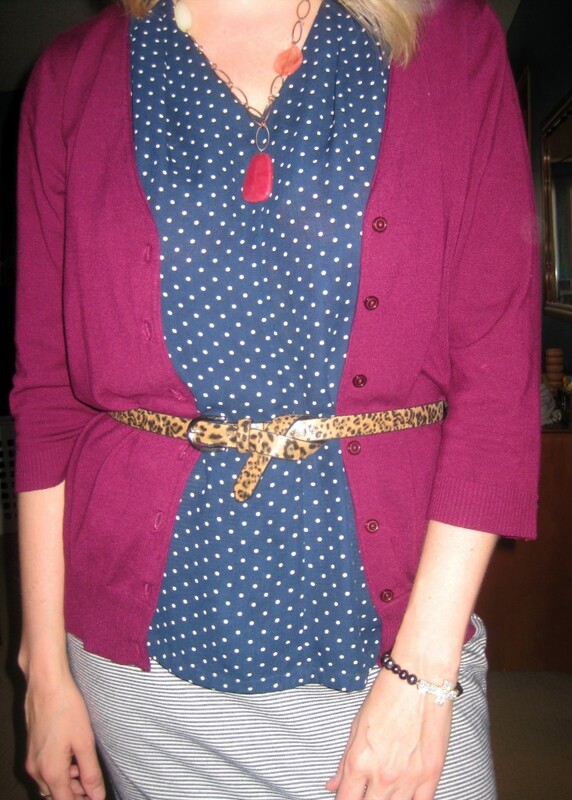 No matter size nor belt nor cardi, putting them together polishes an outfit and takes it from meh to YEAH! 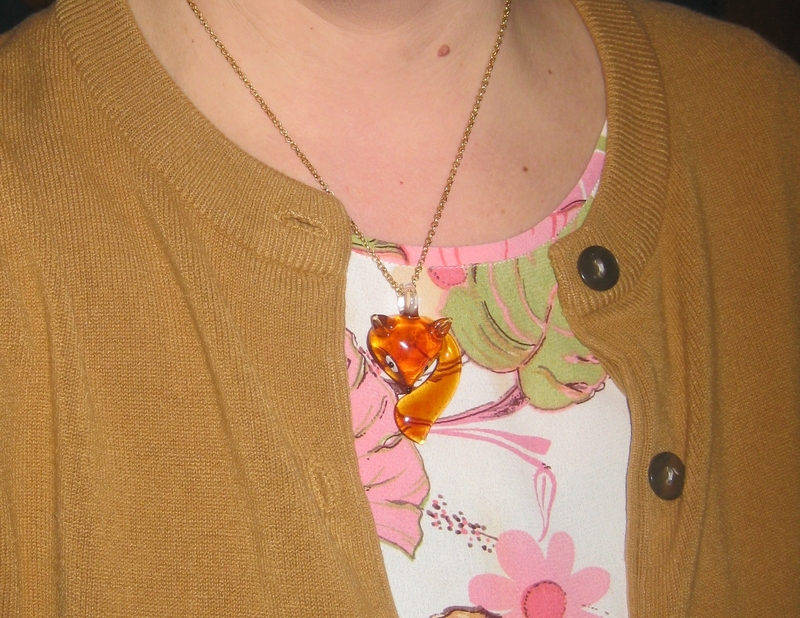 I usually button my cardis before belting as per J’s Everyday Fashion’s video tutorial, but thought I would try it open to show a little more skin, I mean pattern. Just in case you think this look is reserved for skirts and dresses, I tried it out today with pants and a healthy dose of matchy-matchy! Core item #6 sage pants $5, core item #8 floral blouse $2, camel cardi extra $3.50 plus Miz Mooz shoes and braided leather belt. 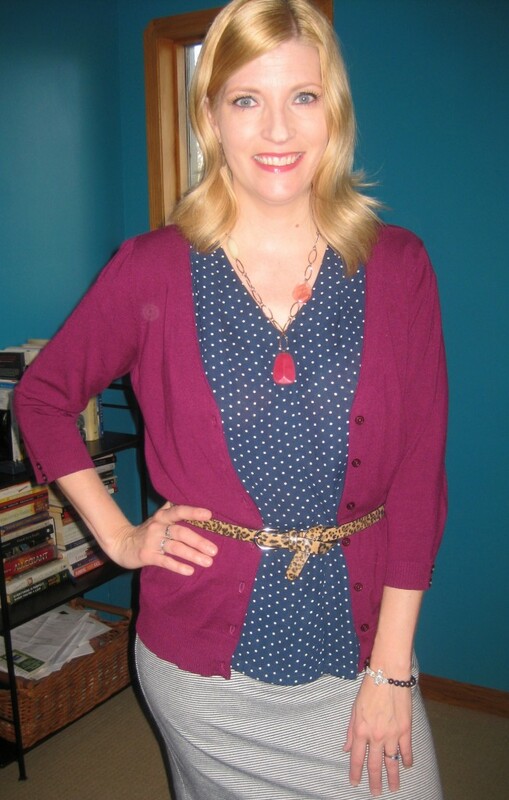 A belt adds shape and makes the leg-line look longer. That’s al-literation. I have a secret. I wore TWO belts – one to make sure I didn’t lose my pants at school and the other for style. 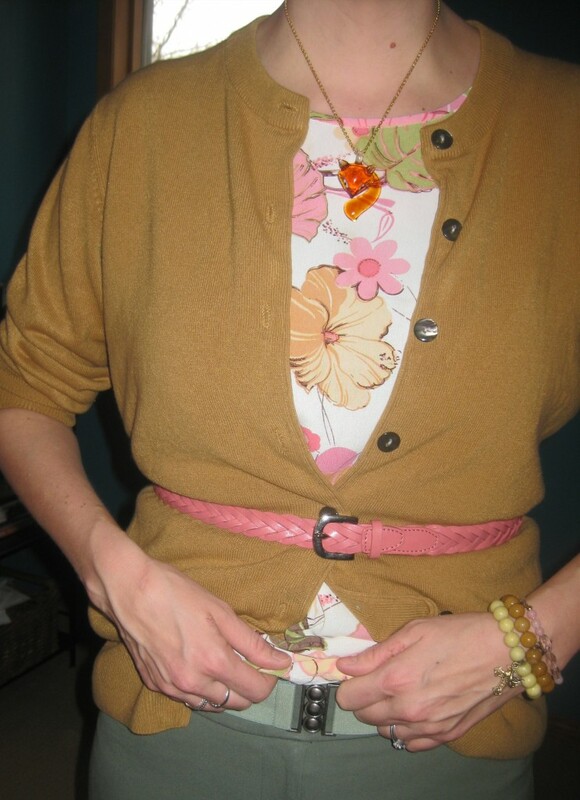 Flatter Me Belts are perfect for this purpose and/or you could eat 100 cookies like I did tonight because my pants were a bit loose. If you didn’t try this Monday Style Prompt, it’s not too late to belt that cardi and watch it work for you! 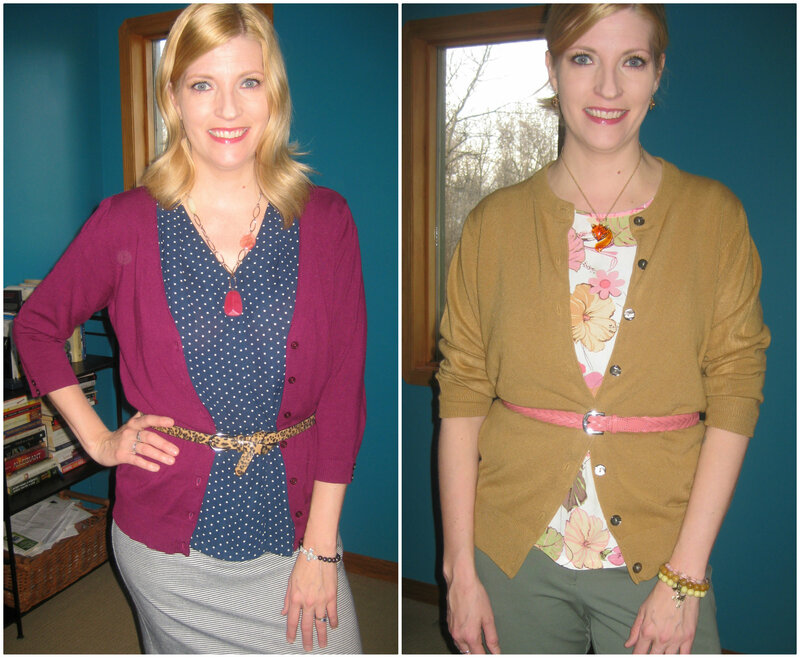 Two days, two belted-cardi looks, two “wins”!! Great outfits and amazingly shiny hair!!! looking great with the belts!